Non-registered users may read the statement below to continue. 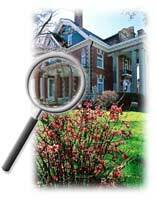 This information was derived from data which was compiled by the Wayne Township Assessor's Office solely for the governmental purpose of property assessment. This information should not be relied upon by anyone as a determination of ownership of property or market value. No warranties, expressed or implied, are provided for the accuracy of data herein, its use, or its interpretation. Although it is periodically updated, this information may not reflect the data currently on file in the Assessor's office. The assessed values may NOT be certified values and therefore may be subject to change before being finalized for ad valorem assessment purposes.